With the start of the 2017 legislative sessions in the various states comes a flurry of press activity from Knife Rights. We have been reporting on efforts in the legislatures of Georgia, Virginia, and New York, and today comes word that West Virginia and Texas are also in their figurative cross hairs. 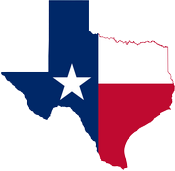 They have introduced a preemption bill in the former, and in the latter they seek to right one of the greatest ironic injustices in the country – namely the fact that it is illegal to carry a Bowie Knife (and a few other styles of blade) in the Great State of Texas. Knife Rights’ West Virginia Knife Law Preemption bill, HB 2209, has been introduced by Representative Rupert Phillips. 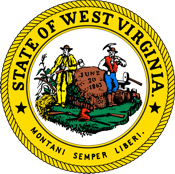 HB 2209 adds “Knives” to West Virginia’s existing firearms preemption statute which was passed in 2015 due to the the work of our friends at the West Virginia Citizen’s Defense League and the National Rifle Association. Preemption repeals and prevents a patchwork of local ordinances more restrictive than state law which only serve to confuse or entrap law-abiding citizens traveling within or through the state. Preemption ensures citizens can expect consistent enforcement of state knife laws everywhere in the state. Knife Rights passed the nation’s first Knife Law Preemption bill in Arizona in 2010 and has since passed preemption bills in Alaska, Georgia, Kansas, New Hampshire, Oklahoma, Tennessee, Texas, Utah and Wisconsin.